Disclaimer: I received a free entry to the Hospital Hill Half Marathon as part of being a BibRave Pro. Learn more about becoming a BibRave Pro (ambassador), and check out BibRave.com to review find and write race reviews! 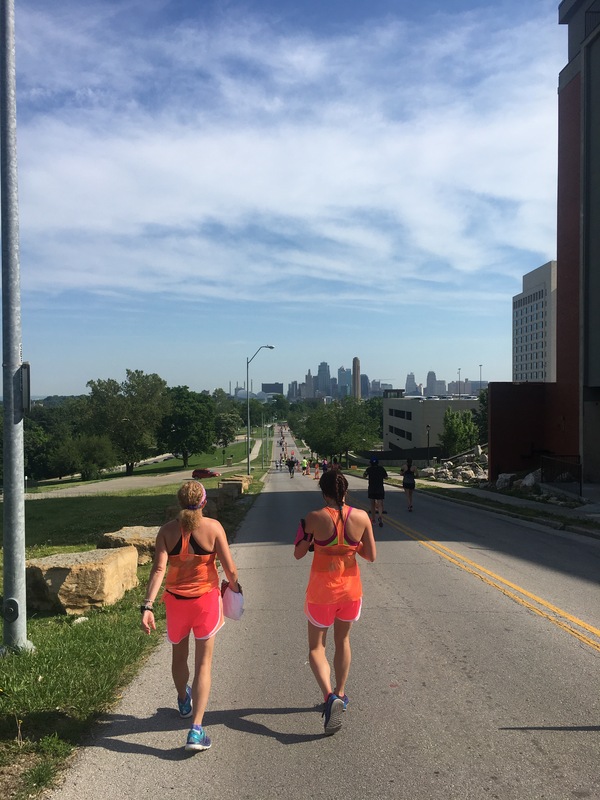 The Hospital Hill Run weekend consists of 3 different races over 2 days. The 5K is Friday night and you can check out the Run Health and Fitness Expo and my volunteer experience! 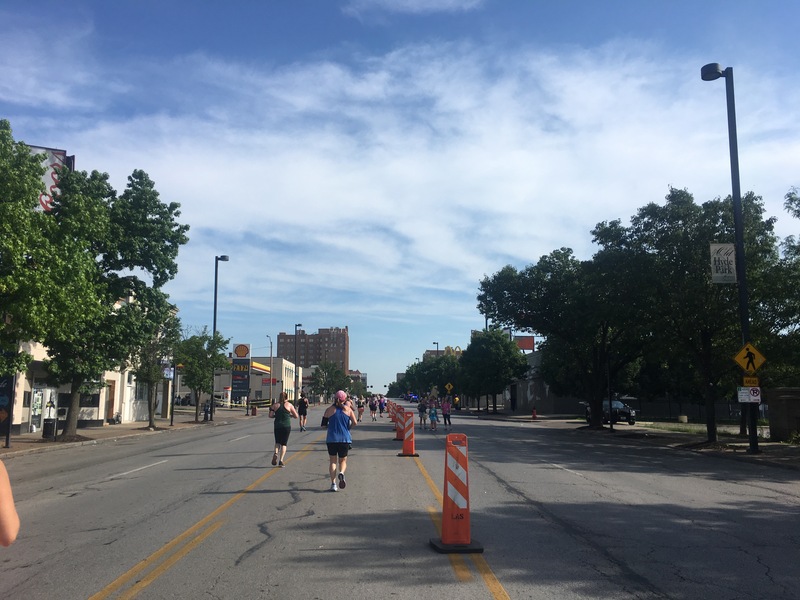 Saturday morning starts with the 10K and half marathon – I registered for the half marathon again this year : ) You can check out my experience last year here! I always lay out all of my things the night before to be sure I don’t forget anything! I was up and ready to leave in no time! 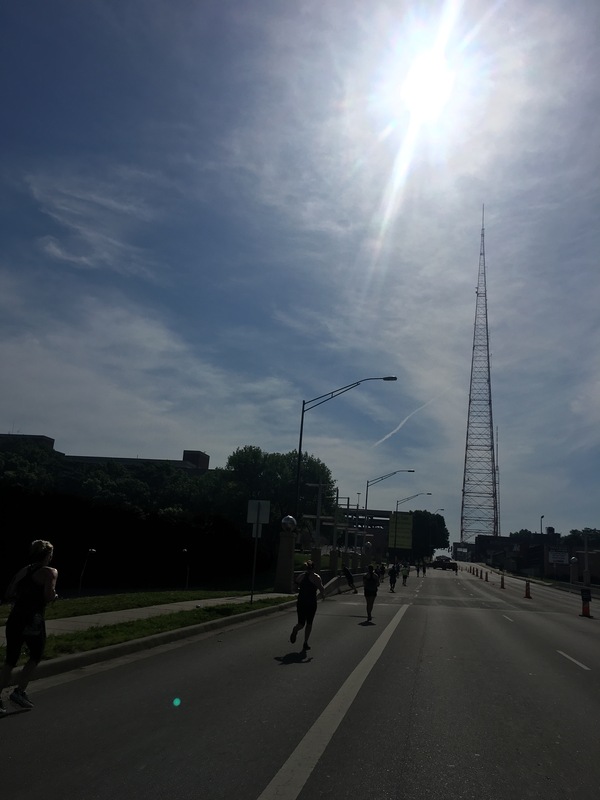 The race crew is good about including a lot of info in their e-mails and website about parking for the expo and parking for the running events. 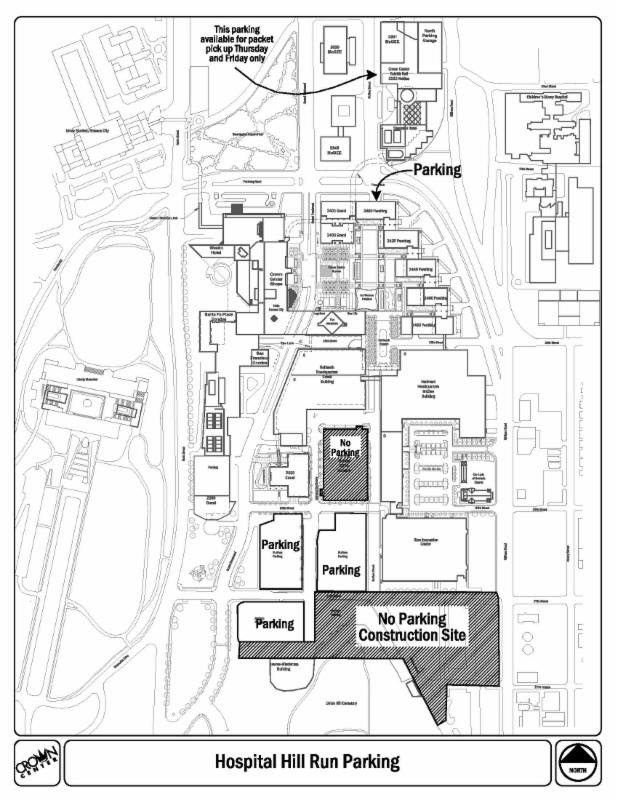 I always park behind Crown Center in one of the open lots. They are easy to get in and out of most of the time. I headed over to the starting area, made a bathroom stop, and then headed to the drop bag area. I headed out on course! Before long, we were off!! Since I was starting in my A-goal time area, I was prepared for the faster start. I didn’t plan on maintaining this pace, but I wanted to stick with the group for a couple miles. By the time my watch beeped, we were are the goal pace for the race and not the “slower first miles” that the Smart Pacers typically stick to. Oh well… I don’t think that those 20+ seconds would have helped me hang on any longer…those KC hills had more to do with my slower pace. The long climb from mile 2-3 is brutal most days, and on a hot day, it was worse than I would have liked. My breathing was a little labored, so I let off the gas and let the pace group pull ahead. The gentle downhill in this area helped me regain some momentum and refocus my mind. I listened to music this race so I would try to keep my tempo higher that usual – otherwise I would have been listening to a podcast. This was when my day went from testing my current fitness to just getting to the finish line in one piece – alive! 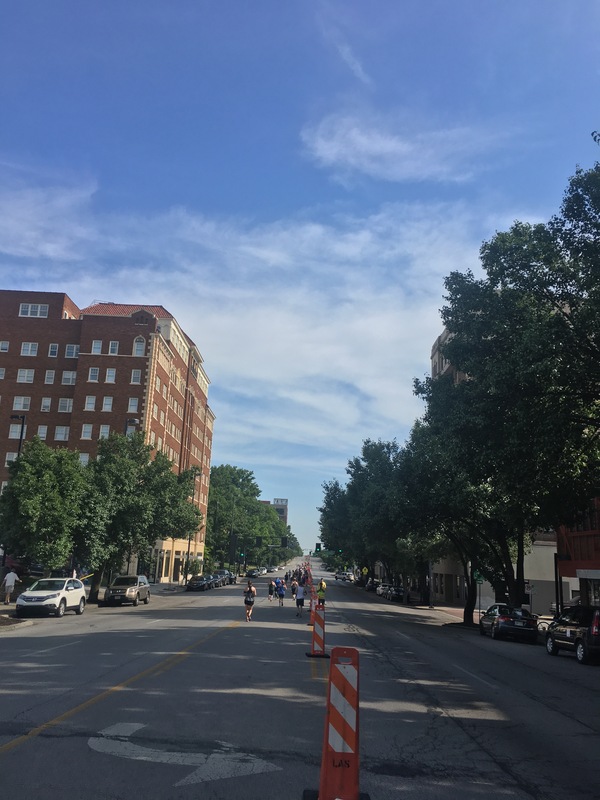 These miles were hard for me…between second guessing my working heart and non-working HR monitor, I walked and ran through these miles with a mid anxiety that something was happening in my body that I was not totally aware of. You see, this is the first big event since my health concerns came up last month…not my first race, because I have paced a couple since that time. 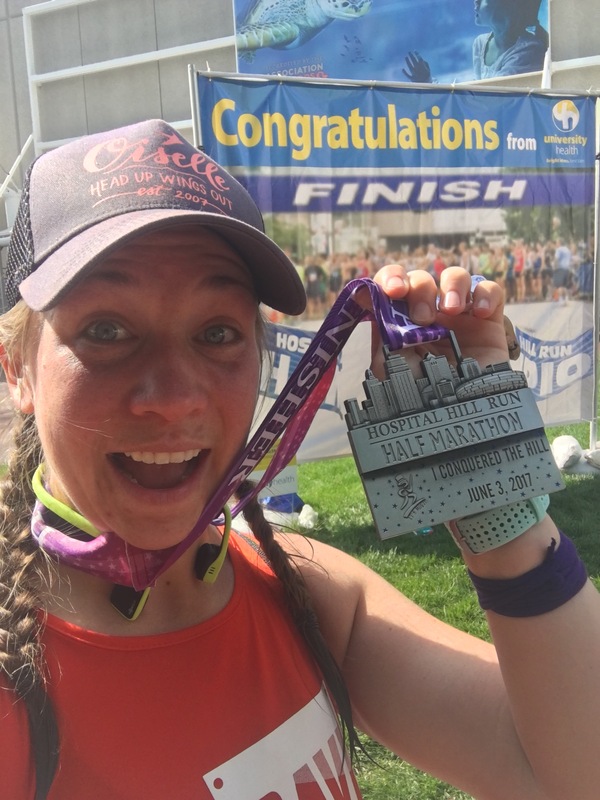 With pacing, I am running an easy, slower pace (for me) so I am able to devote my time and energy to the runners I am motivating to the finish line. I am not typically physically tired after these events, but more mentally/emotionally exhausted. This is the last event of the spring and since I am not pacing, I set out a few goals for the race. About this time, I remembered that I really just wanted to have FUN today! I started feeling a little more positive about the day and taking in all the sights and sounds of the race experience : ) The beautiful and unique houses along Meyer Blvd., the shops and spectators off Brookside, the little neighborhood loops, the open green spaces – I really was able to take it all in. Around mile 9.5 or so, we started our journey back into the city. 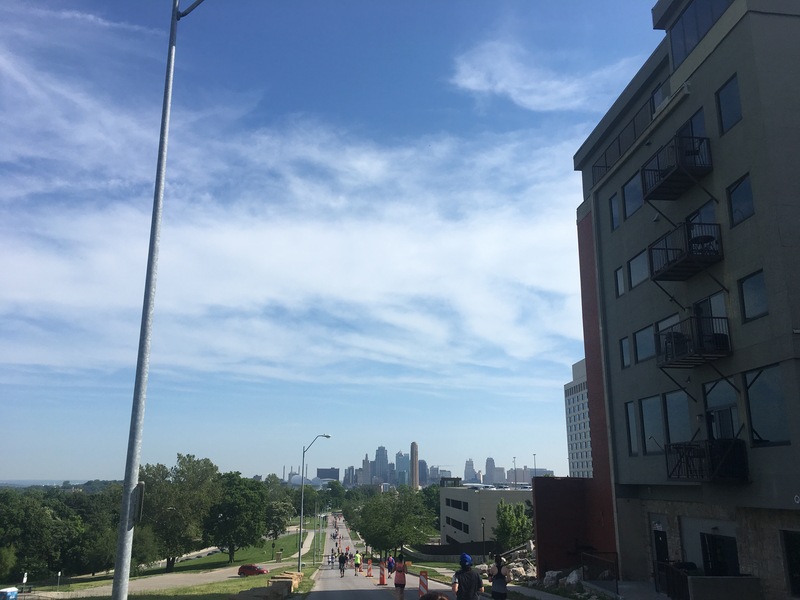 The skylines of KC always take my breath away…and pictures never seem to capture the beauty! We soon passed by one of the iconic fountains of KC. The next mile or so was a nice shaded area next to the Mill Creek Park. The shade was an amazing feeling since we have been in the sun for a bit…and would be in the sun again soon! 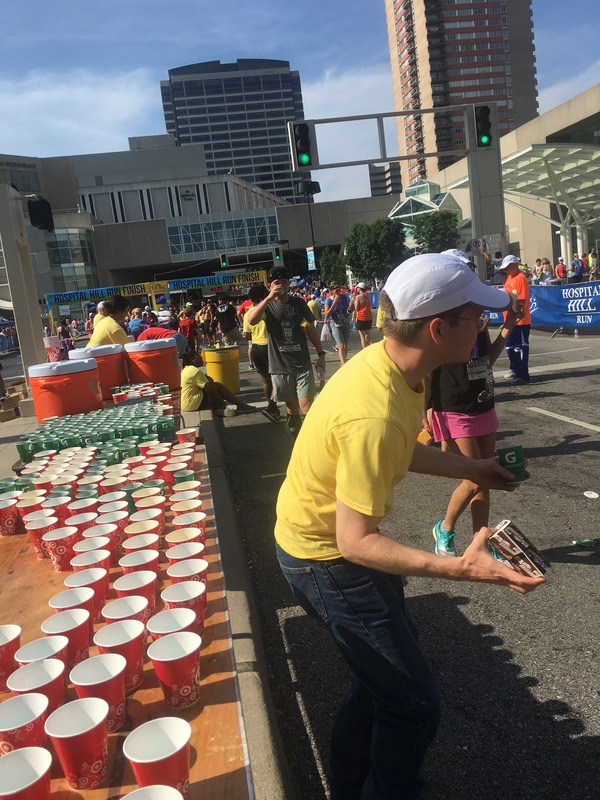 Right as you finish, you are offered your medal and a water…and then comes the choices of post race snacks! I made a pitstop in the meds tent because I didn’t want to take ANY chances with my health… I just stopped my to have my HR checked and be sure I was indeed still alive. I am well and I go on through the post race area. 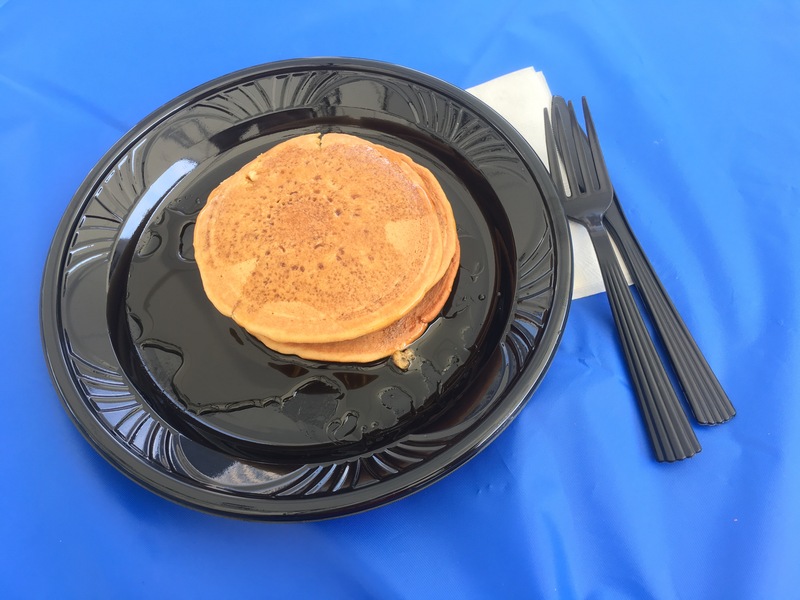 Last stop before heading out is the pancake feed *cue drooling* I handed off my bib ticket and I could eat whatever I wanted…and I choose 3 pancakes with a little syrup…yum! This race weekend is one of my favorites year to year. The Hospital Hill directors area great about communicating the details of their race so there aren’t any questions – as long as you read the e-mails. Even though I didn’t run the 5K this year, I liked that they opted to change the course. 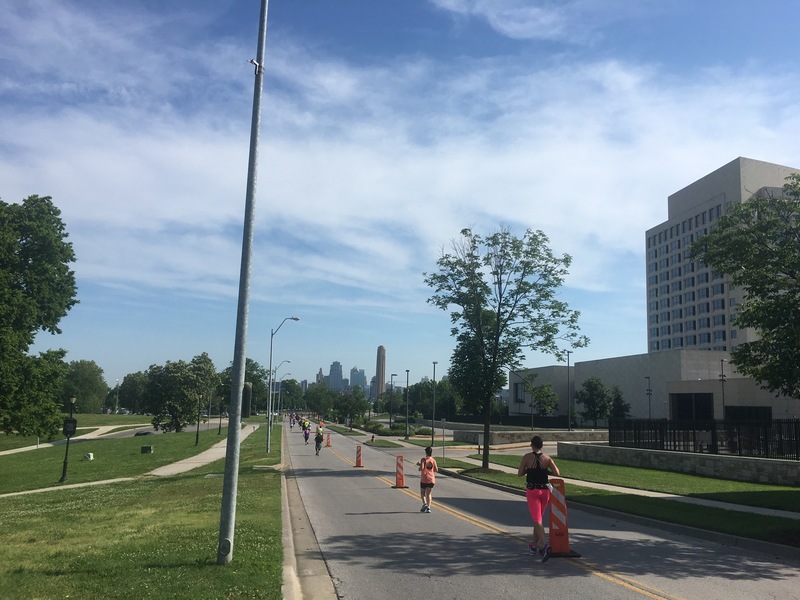 In years past, the 5K was mostly part of the 10K/Half Marathon course and the Re-Run registrants were seeing the same places both days. This was certainly a great thought! Check out this short video covering the events on Saturday! Come and join me at the hill next year!